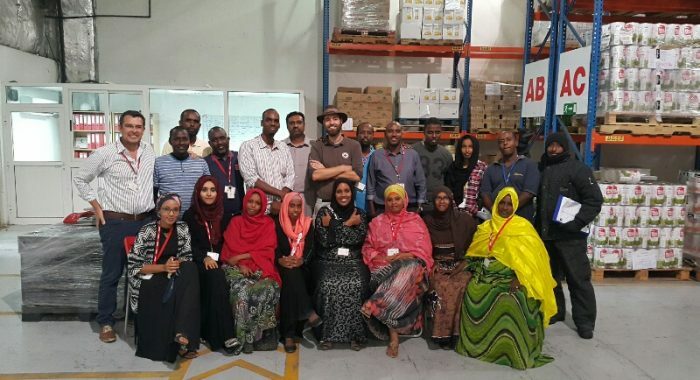 BMMI Djibouti recently welcomed a true nomad to visit their premises for a short tour and to learn more about the country and its people. Torbjørn C. Pedersen, who goes by the name Thor, is in the process of writing a novel about his journey of travelling to every country in the world, without flight. In his book, which is named ‘Once upon a saga’, he will describe his journey of 203 countries which will take him approximately two to three years. He started on October 10. After a short trip to Somalia, Djibouti was the next country on Thor’s list of countries to visit and the 124th country. He shares the stories of his adventures through a blog named “Once upon a saga”. Reading the lines of his blog allows you to discover from his prospective, the beauty of each country. During his trip to Djibouti, Thor visited BMMI Djibouti and shared his adventures and plans with all the employees. According to his plans, his journey will end in the Maldives in 2018. You can read about his journey through his blog: http://www.onceuponasaga.dk/.